Hello friends and Happy Thanksgiving! So grateful for all of you! Thanks so much for coming by the blog today and always. 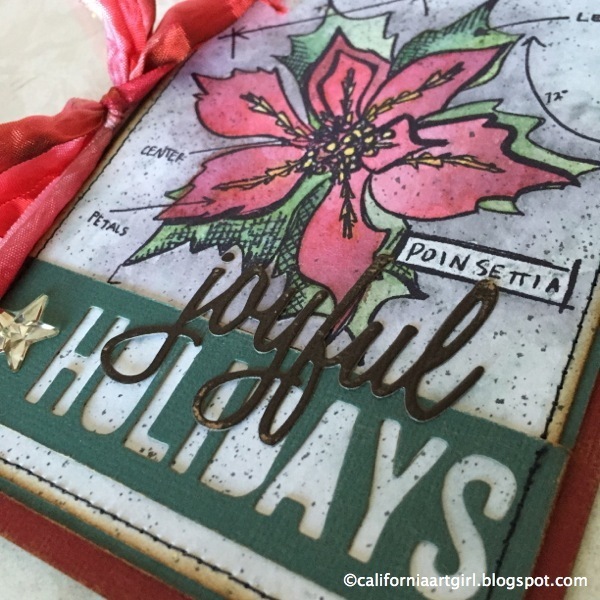 I'm back with the next card for my 12 Tags of 2015 / Holiday Card Series. 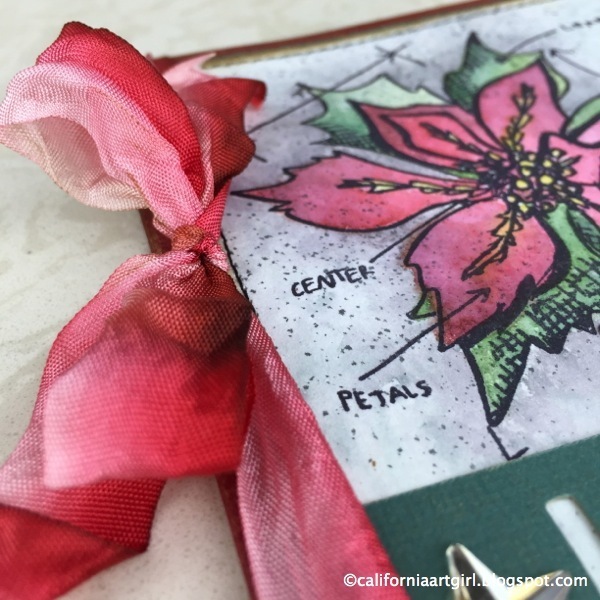 This card features Micro Glaze as a resist, tearing cardstock with the Design Ruler, coloring and Spritzing with Distress Markers and I love how the the Crinkle Ribbon is colored. 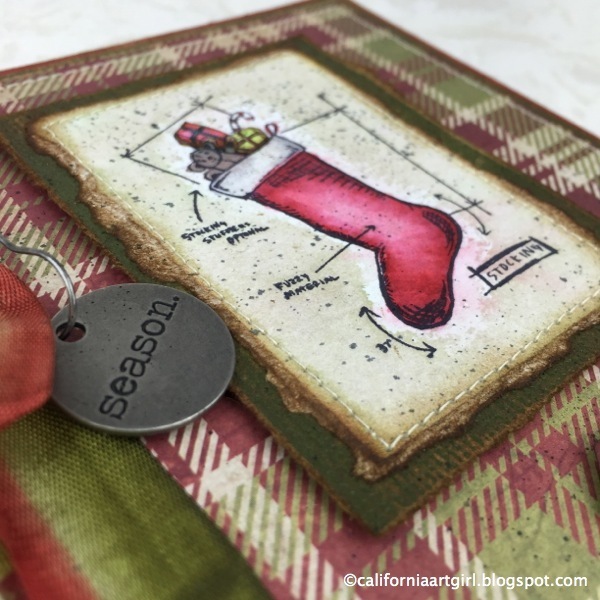 I love the size of the Mini Blueprint stamps they are ideal for cards. I think this card would be great for creating your Holiday cards. 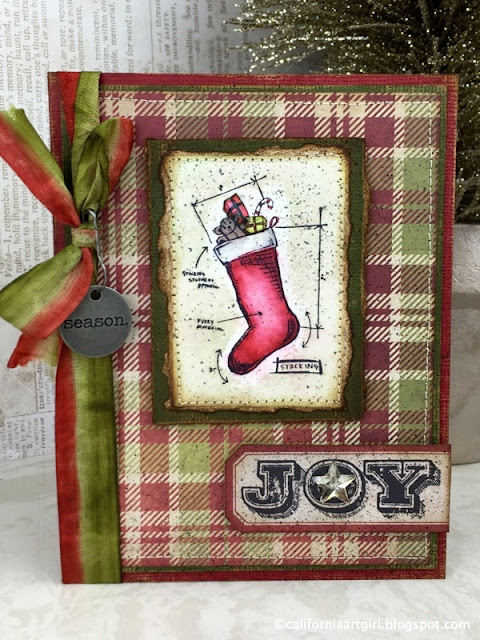 Find all the details on how to make these beautiful cards over on Tim's blog. 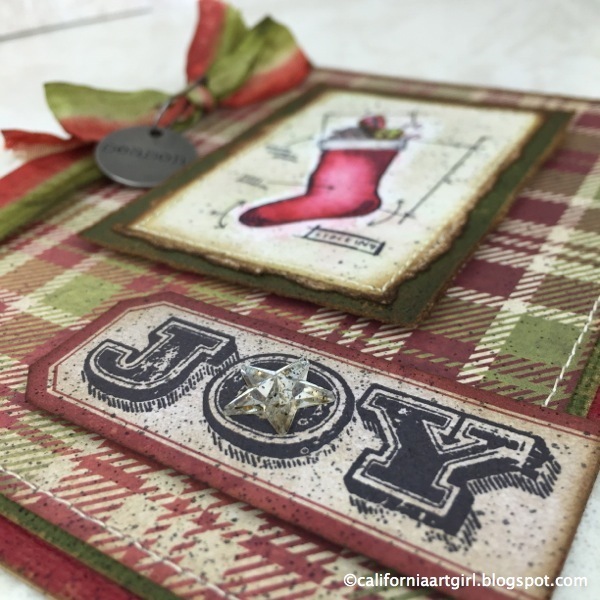 12 Tags of 2015 / Holiday Card Series and I'm learning lots of new tricks from Tim. 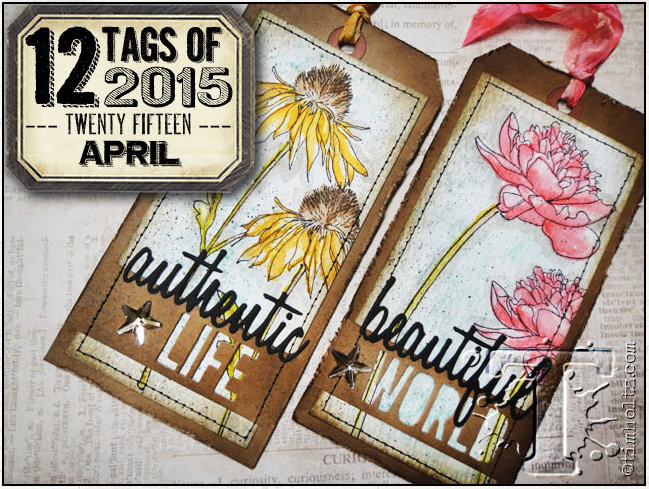 The inspiration is from the November tag (one of my favorites). 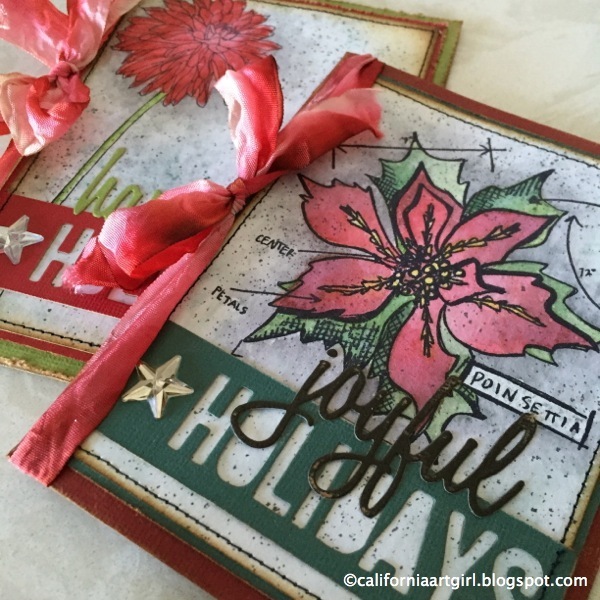 The cards have awesome techniques...paint resist, dimensional watercolor and distress foiling. 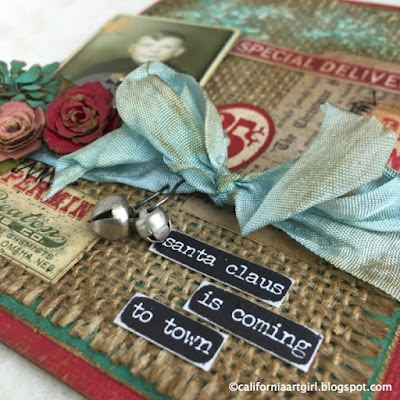 The full tutorial is over on the Tim Holtz blog. The background technique on this cards is done with Distress Paint and Distress Spray Stains and the results are beautiful. 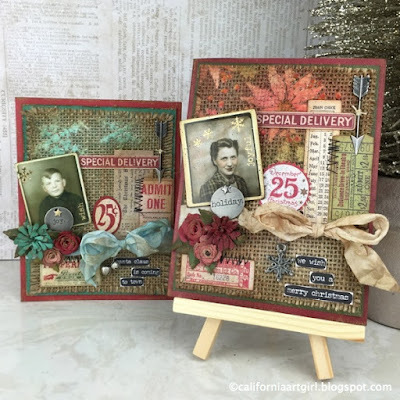 Also the Metallic Kraft-Core cards are perfect for the Holidays. 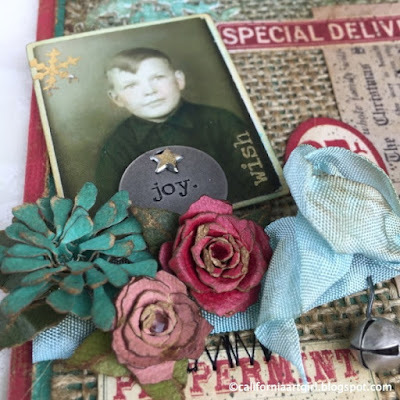 All the details are on Tim's blog for November. Hello! It's time for some more cards in the 12 Tags of 2015 / Holiday Card Series and our inspiration this time is from the Tim Holtz 12 Tags of 2015 for May. Love all the attention to detail on this tag form the beautiful flowers to the Spritzing and the Texture Paste in the background. Lots and lots of techniques. 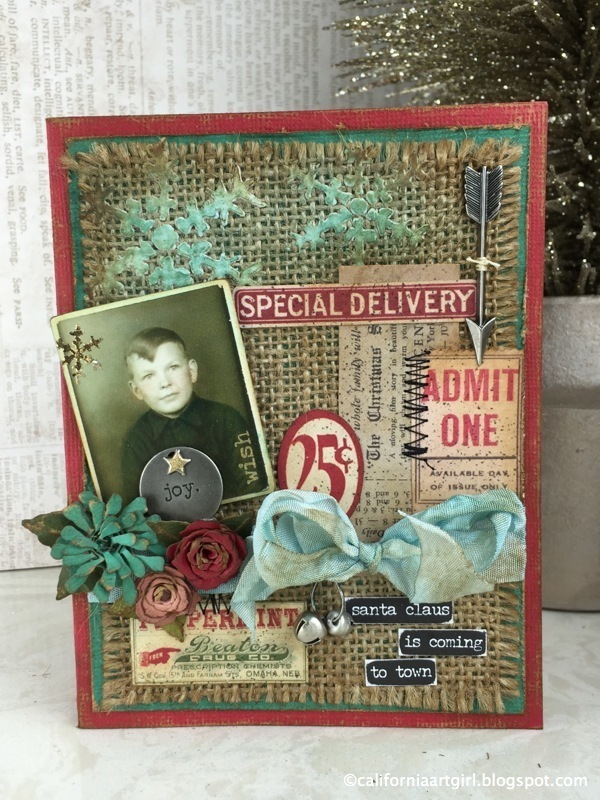 Don't forget the full tutorial with step out photos is over on Tim's blog. Both cards feature the new Gilded Holiday Remnant Rubs, Festive Ephemera Pack and Small Talk Occasions. 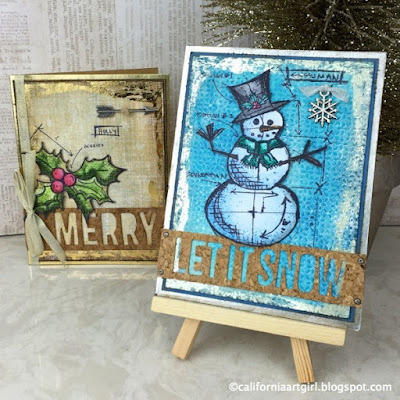 This card features this cute little boy and the snowflake Layering Stencil in the background. 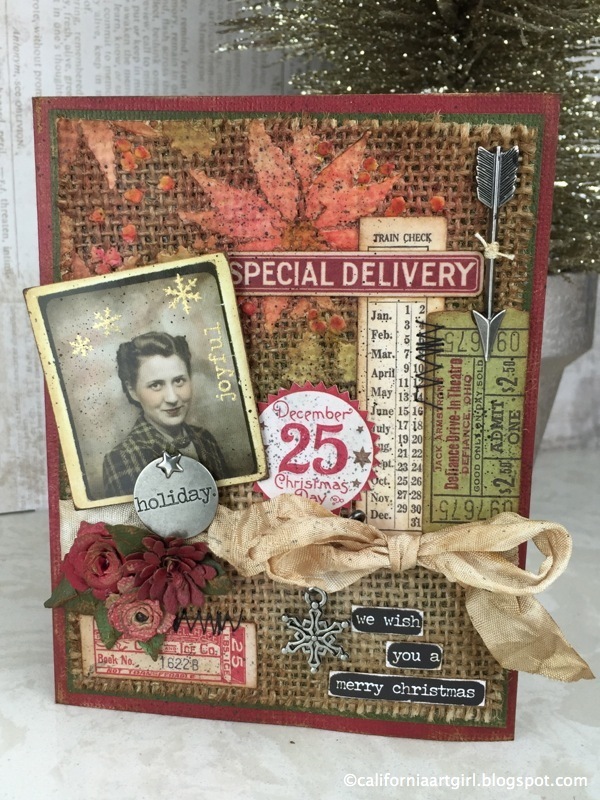 Our next card features Barbara in her favorite plaid dress and the Poinsettia Layering Stencil in the background. 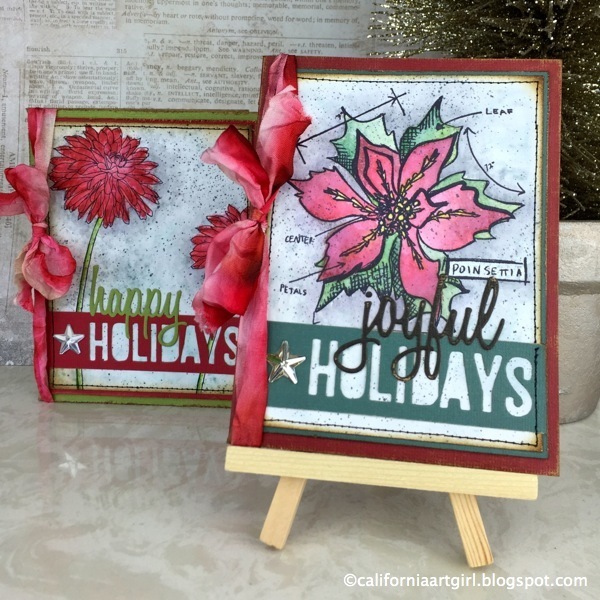 The Spritzing on both cards was done with Hickory Smoke Distress Marker. I love this color it perfect for a subtle look when black is a little to harsh. 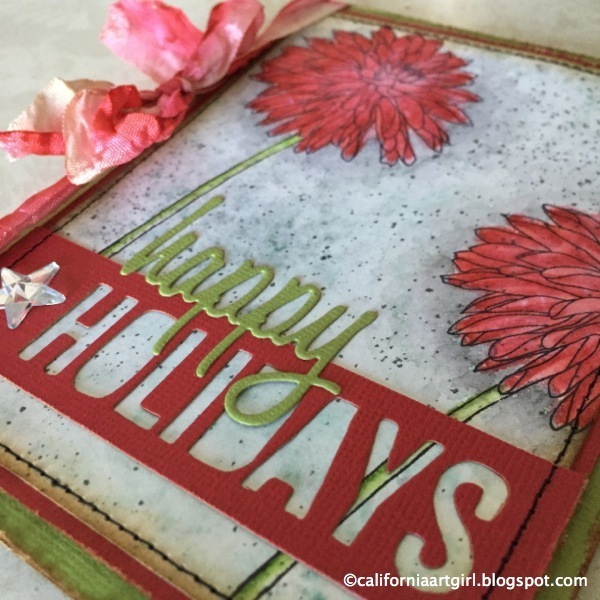 Hope your enjoying all the FUN! Don't forget to check back in another few days for the next card! 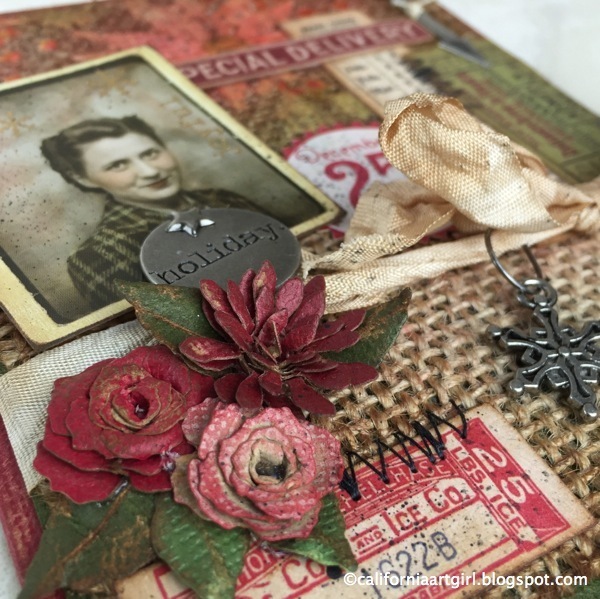 Here's the goodies I used. 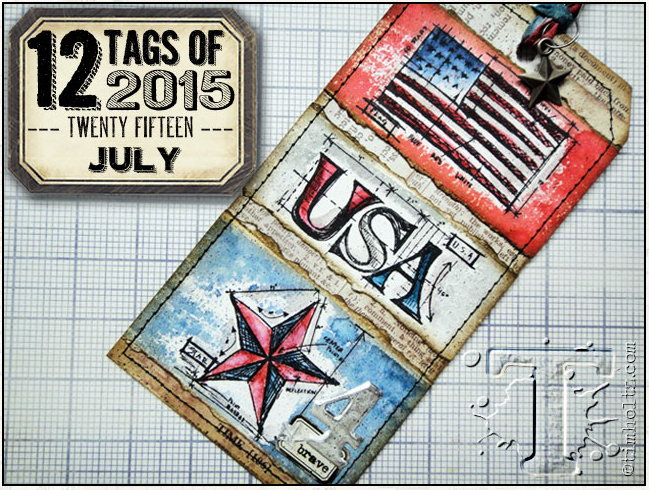 Click on the links to head over to Simon Says!! Hello friends! 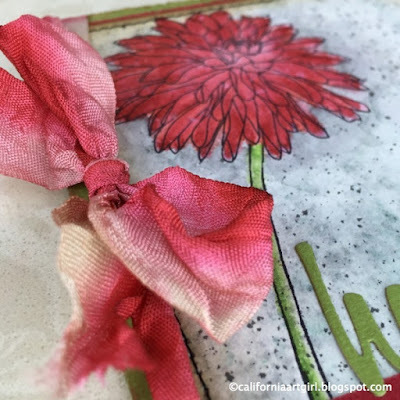 I hope you all had a fantastic weekend and you set aside some time to get creative. 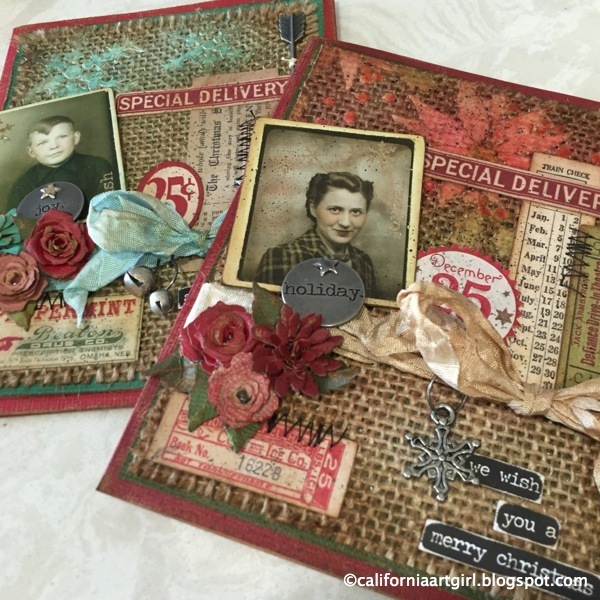 I spent most of the weekend in my studio creating Holiday cards but most of the weekend was spent organizing my craft room. More on that another day as I'm still working on it. Still lots to do!! 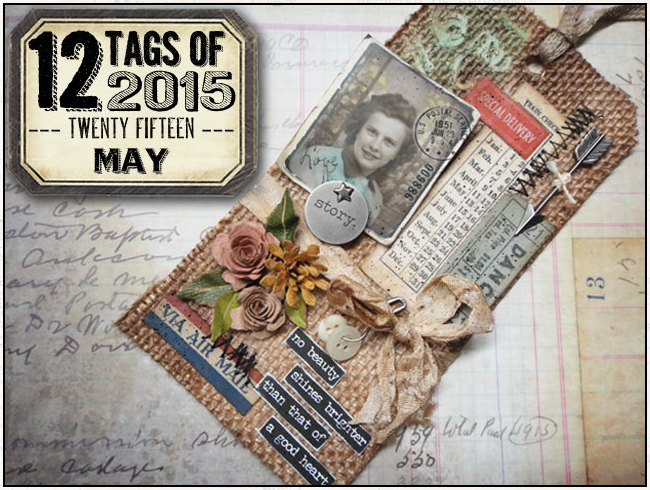 I'm so excited to start a new series here on my blog. I'll be using the 12 Tags of 2015 from Tim Holtz for the inspiration to make Holiday cards!! 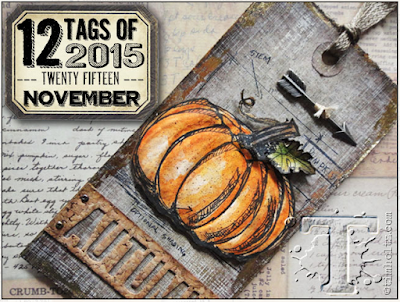 There are so many GREAT techniques in the 12 Tags of 2015 so I hope you will join me in creating some beautify cards and learn amazing techniques form the master himself, Tim Holtz. 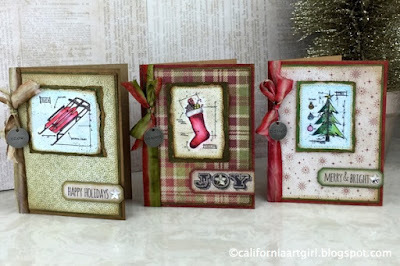 Here's how it will work, I will post my cards with the link back to Tim's blog so you can see the full tutorial. 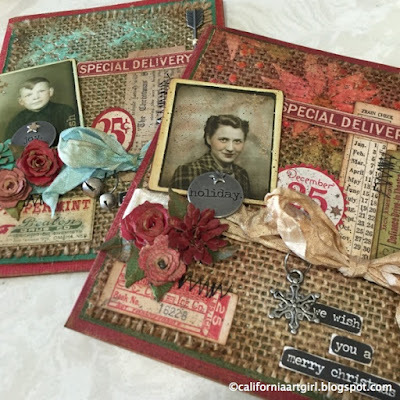 The bonus is that I will have several cards by the end of the series to send to my family and friends. 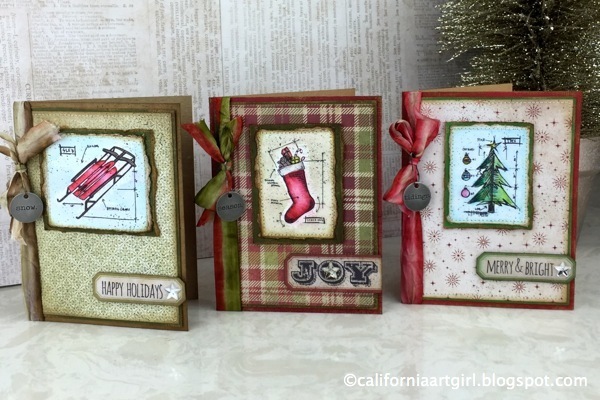 Here's the first cards for 12 Tags of 2015 / Holiday Card Series. I ended up making 2 cards…I wasn't sure the first one looked Christmassy enough for me. 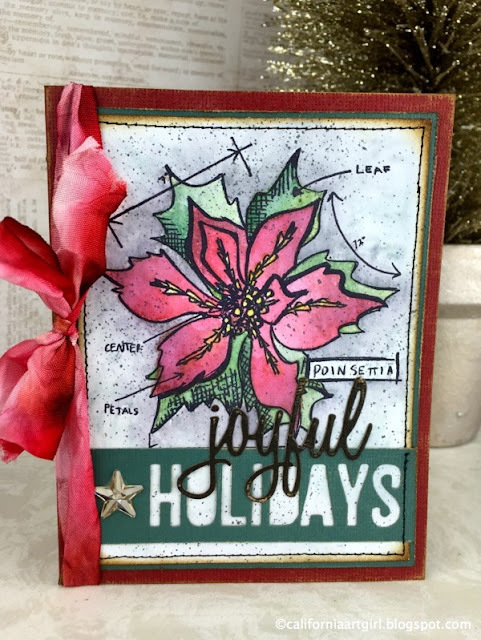 So I tried the Poinsettia Blueprint Stamp and I really like the way it turned out. The background technique is so easy and the effect is a pretty soft background. Here is the link to the full tutorial on Tim's blog! 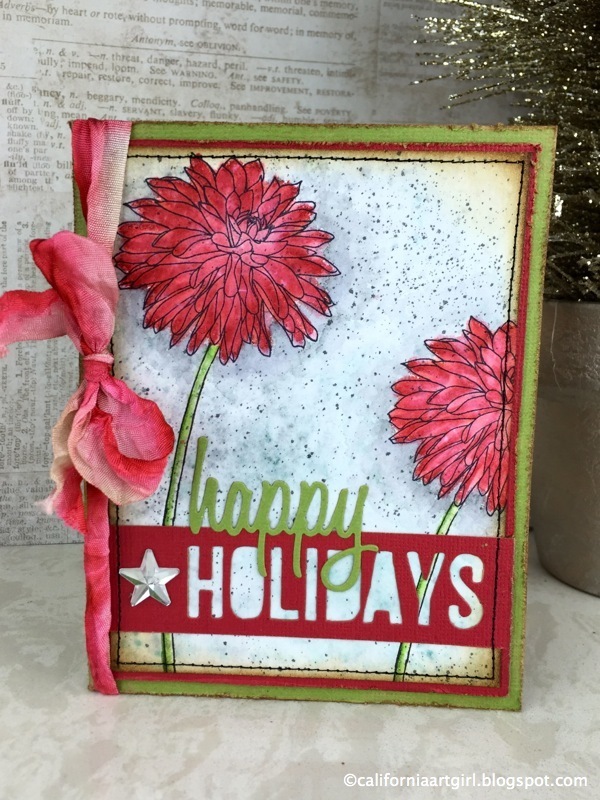 I'll be back in a few days with another card to inspire you!